Analyze your database easier thru our dashboards and analytical reports. Whether yearly comparisons for promotions and sales or shopper and member demographics or any customized reports you require, you can generate the reports via our BI tools. Analytics provides the tools to gain real-time actionable insight on your customer behavior. As performance becomes measurable, get answers to questions that have remained unanswered for a long time. 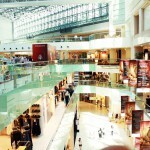 For example, how did a campaign improve the mall’s conversion from all visitors to engaged customers. Thru analytics, you can match customers’ buying patterns, learn from their actions and to perfect their operations over time to achieve an optimal customer experience. The simple truth is that if you can’t measure performance, benchmarking and best practice sharing are not possible. Analytics enables benchmarking across malls on a much deeper level, detecting both positive and negative deviations from the standard performance and revealing the reasons for these differences.